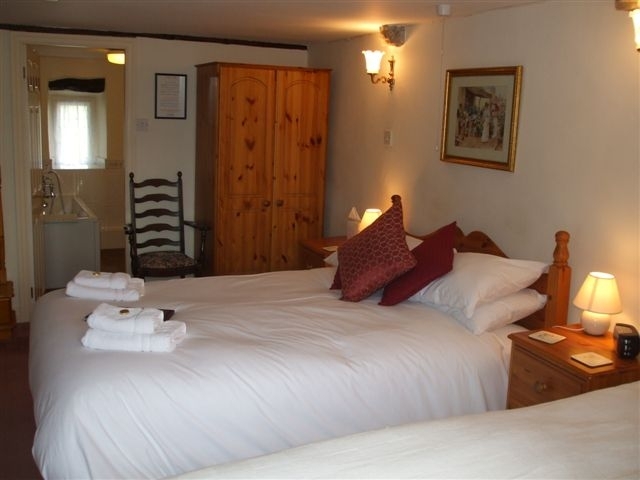 All Double/Twin Rooms at Wood View have en-suite bath or shower facilities and include colour television, radio clock alarm, hospitality tray and hair dryer. King Sized accommodation at Wood View comprises all the features of a Double/Twin Room, but in a larger bedroom with king sized bed, window seat, easy chairs and coffee table. We are happy to accept well behaved dogs at a one-off charge of £8 per animal. Our cancellation policy: We will endeavour to re-let your accommodation should you have to cancel. In the unlikely event of our not being able to re-let all of your booking, you would still be liable for the un-let part so we recommend you consider taking out some kind of insurance. Due to demand we have a minimum 2-night stay at weekends. 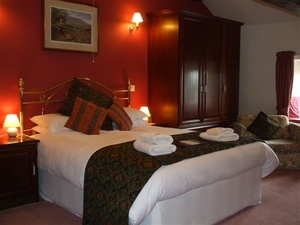 You are welcome to enquire about possible single night stays, subject to availability. Friday or Saturday single night bookings are sometimes available at short notice.